Find similar homes to homes for sale in Hillandale, Silver Spring Md. Get the value of your Hillandale, Silver Spring, Md. home in todays market. With a special, unique property located on the border of two major Maryland counties, Maryland real estate consistently features Hillandale, Maryland as landmark. Hillandale is an unincorporated and census-designated area situated on the borders of Montgomery and Prince George’s counties. Occupying a space of 2.0 square miles, Hillandale includes 3,054 people and 1087 households. Its household median income is $80, 800, with a median home and townhome value of $392,300. With its location only eight miles from Washington, DC, Hillandale consists of numerous government employees as well as significant numbers occupied in construction and professional/scientific/technical services. Its percentage of population with a bachelor’s degree or high is higher than the state average. What Hillandale is lacking in curious or famous history it more than replaces in terms of things to do and activities for its residents. In addition to the Hillandale Shopping Center, Hillandale offers two churches and Powder Mill Community Park. Residents of Hillandale are proud of their community, dedicating considerable time to community service projects and the overall betterment of their community. These include the American Red Cross, VFW, VA, Salvation Army and Habitat for Humanity. Part of the Montgomery County Public Schools, school-age children in Hillandale attend school in many of the surrounding schools of Silver Spring, Hyattsville and Beltsville. In an area that is synonymous with higher education and the small classroom sizes that are conducive to superior education, Hillandale children have the best of all educational options made available to them. 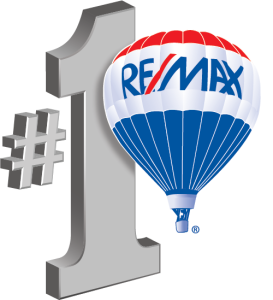 Hillandale represents the best of Maryland real estate. This is a dynamic, enthusiastic and energetic community that continues to grow and attract those who share their values, traditions and culture. Its diversity and pride offer a great place to live for those who pay them a visit.